As families and individuals whose lives have been affected by mental illness, NAMI California has long been dedicated to breaking down the stigma and discrimination that can stand in the way of people with mental health challenges accessing support and living full and rewarding lives. For three years, we have been proud to partner with the California Mental Health Services Authority (CalMHSA) to empower people with lived experience of mental health challenges to break down barriers. Together we are using our voices to shatter misconceptions about mental illness, create supportive environments where people with mental health challenges feel comfortable seeking and receiving help, and create resources to reach California’s diverse communities with stories of recovery and resilience. Now, through “Each Mind Matters: California’s Mental Health Movement” we are standing together with thousands of individuals and organizations in a unified call for inclusion and acceptance for people living with mental health challenges. Individuals and families living with mental illness know prevention and early intervention strategies are a critical way to embrace people in need of help with support that can prevent the onset of mental illness or lessen the severity of the symptoms. NAMI members across the state were critical organizers and took action to get out the vote to support the passage of the Mental Health Services Act of 2004 (Prop. 63). The voters agreed, including casting their votes to support for Prevention and Early Intervention (PEI) investments on a statewide basis. Reached more than 820,000 Californians with crisis and early intervention services. Trained nearly 125,000 individuals in prevention strategies. Launched innovative social marketing campaigns that improve mental health awareness, inclusion, and equity from childhood through adulthood. Created lasting systems change, including new standards for K-12 educators to have training to improve identification of at-risk students. Enhanced local crisis hotline support by expanding language capacity, outreach and marketing, training and developing new crisis chat and text lines. Pioneered culturally relevant best practices to serve the needs of California’s diverse communities. California’s Mental Health Movement will grow stronger as we build community partnerships and share resources and strategies. CalMHSA’s partners have developed a host of new tools and resources that can be useful in our work to champion change. 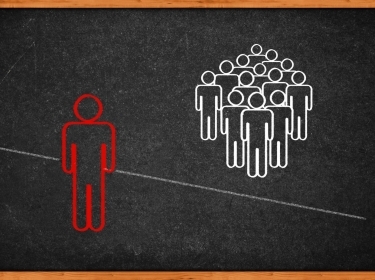 Research shows one of the most effective ways to raise awareness and reduce stigma is through the face-to-face sharing of personal stories. CalMHSA’s partnership has enabled NAMI to greatly expand our network of speakers trained to share our stories of story of mental health challenges, stigma, and recovery for work, school or community organization audiences. Find a speaker through one of the many NAMI California programs including In Our Own Voice, Ending the Silence, Parents and Teachers as Allies and Provider Education. Share Each Mind Matters key messages with your partners and colleagues through your coalitions or organizational communications. SuicideisPreventable.org helps us find the words to say and the resources to reach out to for help in crisis. Know a young person struggling with difficult thoughts and feelings? ReachOutHere.com is a way young people can connect with others understand what they’re going through and offer support. Share these tips about rights for individuals and families struggling with mental health challenges from Disability Rights California with your partners and colleagues through your coalitions or organizational communications. The California State Auditor released the Mental Health Services Act Audit Report. At the following links you will find an Executive Summary as well as a full copy of the findings, and an Audit Advisory. NAMI California praises the thorough review of the programs. It has reviewed the findings internally and states that it agrees with the importance of evaluation in determining program outcomes. 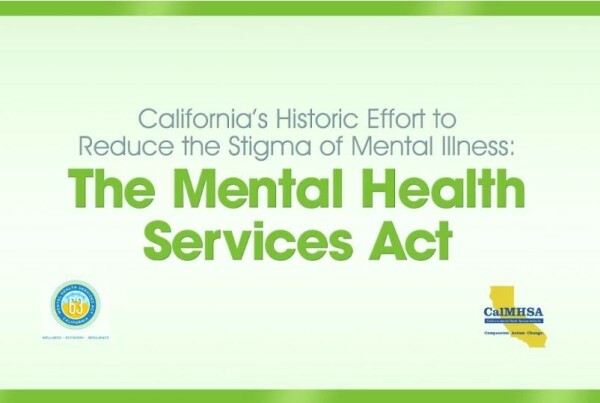 NAMI California believes in the use of measurement and evaluation to ensure fidelity with the intention of the original Mental Health Services Act (MHSA). NAMI California has advocated for years for strengthening state oversight of county MHSA programs. This report affirms its efforts. NAMI California also supports its recommendations for the Mental Health Services Oversight and Accountability Commission (OAC), the Department of Health Care Services (DHCS) and the Mental Health Planning Council as well as the four counties it reviewed (Sacramento, Santa Clara, Los Angeles and San Bernardino). It hopes those counties who were not the subject of review will use the recommendations and findings to ensure their programs are serving the members of their county appropriately and encourages counties to use their families, those with lived experience and other stakeholders to inform their process to safeguard taxpayer resources. Next week, NAMI California will release its annual list of all California County MHSA funded programs. Programs ranging from Prevention and Early intervention to Full Service Partnership. This can be a useful tool in determining which programs your county funds utilizing MHSA monies. While also, giving the opportunity to create open dialogue about the resources in your area.